The bestselling author of Proofiness and Zero explains how to separate fact from fantasy in the digital world. Digital information is a powerful tool that spreads unbelievably rapidly, infects all corners of society, and is all but impossible to control—even when that information is actually a lie. 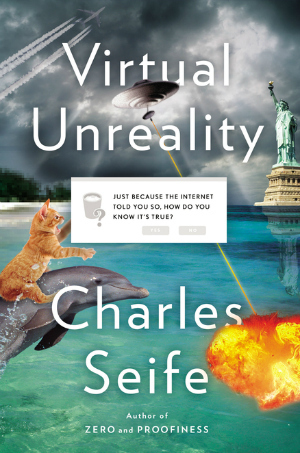 In Virtual Unreality, Charles Seife uses the skepticism, wit, and sharp facility for analysis that captivated readers in Proofiness and Zero to take us deep into the Internet information jungle and cut a path through the trickery, fakery, and cyber skullduggery that the online world enables. Taking on everything from breaking news coverage and online dating to program trading and that eccentric and unreliable source that is Wikipedia, Seife arms his readers with actual tools—or weapons—for discerning truth from fiction online.